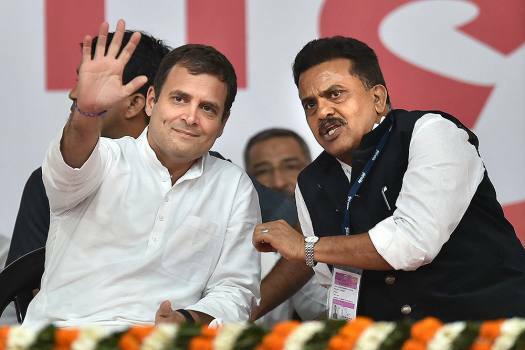 National Congress President Rahul Gandhi and Mumbai Congress President Sanjay Nirupam at a rally, in Mumbai. 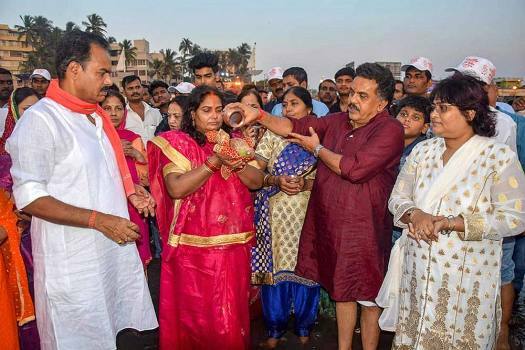 Maharashtra Congress President Sanjay Nirupam along with his family performs Chhath Puja at Juhu Chowpatty, Andheri Mumbai. 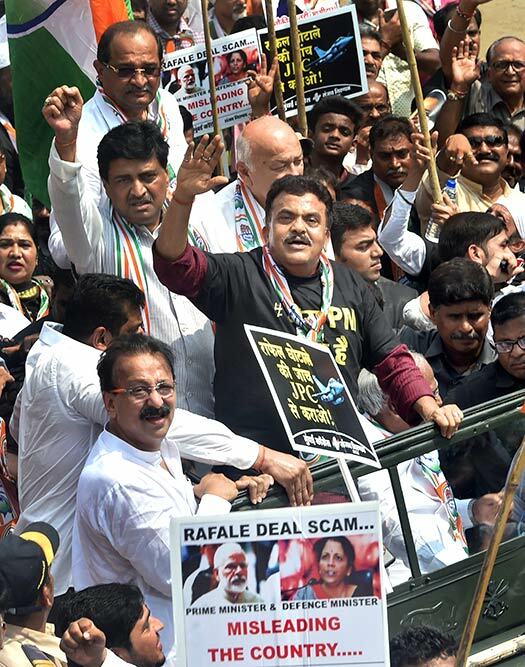 Senior Congress leaders Sanjay Nirupam (C), Ashok Chavan and Sushilkumar Shinde raise slogans to protest against the alleged scam in Rafale deal, in Mumbai. 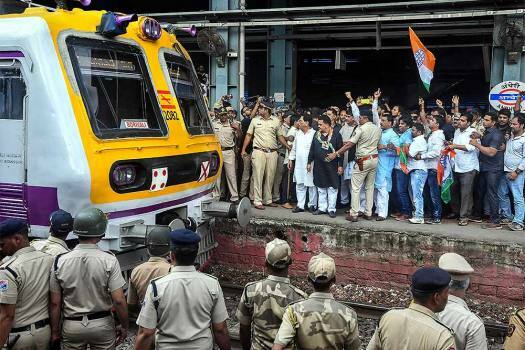 The decision to withdraw the invitation to Sahgal (91), who was earlier at the forefront of the "award wapsi" campaign, was taken after a political outfit threatened to disrupt the function, the organisers said on Sunday. 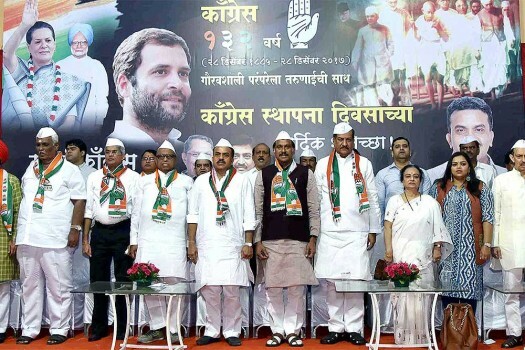 Nirupam shared documents related to the organisations in Solapur which he said are controlled by the minister. 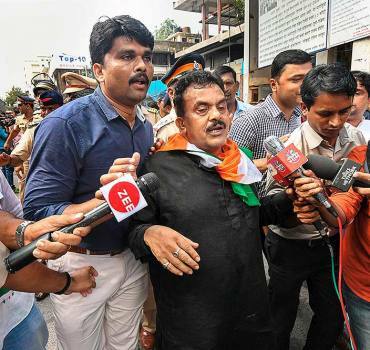 "Children and people do not know how many degrees the prime minister holds," Nirupam said.